The 23-day race requires lots of fuel and rest. The Tour de France is easily one of the most difficult endurance events in the world. In this year’s iteration, riders cover more than 2,000 miles over 23 days, and they’re already battling with an intensity that’s boiling over into crashes, broken wheels, and blood-stained Lycra. Consider the first day of the race: Halfway through the 125-mile route, Lawson Craddock of Texas hit the pavement hard enough to bust his eyebrow open and break his scapula. Still, he got up and finished the stage, then rode 113 more miles the next day. Crashes are common, but it’s the risk of losing steam that compels cyclists to log upwards of 2,500 miles per month while they train, says Elliot Lipski, the coach for Team Dimension Data based in Bromley, England. 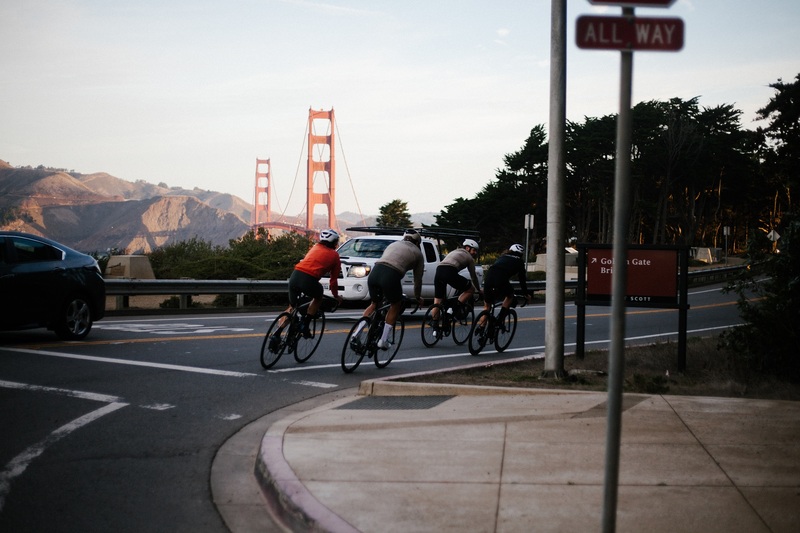 Riding for six hours a day has less of an impact on the competitors than it would on amateur cyclists, but they still need lots of regeneration to prepare their bodies for the next stage. The pros are made from the same flesh and bone as non-elites, so their recovery strategies can help you, too. Here are four ways they stay strong as they cycle. They never stop eating carbs. Riders eat specially formulated gels, bars, and drinks made up of multiple sugar sources, which helps them retain more carbs than they would from regular foods like bagels or bananas. But many people report stomach discomfort when they hammer their guts with one performance product for hours on end. Cyclists experiment to find a blend that works for them, so they know exactly what to eat throughout their ride. You can do the same: Instead of eating four energy gels an hour like the pros do, try blending your fuel sources. One gel every 30 minutes, along with half a bottle of Gatorade, will give you enough carbs to fuel about an hour of cycling. Then add your favorite energy bar or even a rice cake for something solid. If that’s not right, keep adjusting the ratios until you’re both comfortable and energized. They replenish their bodies as soon as each ride ends. Since the cyclists aim to be out of steam by the time they reach the finish line, they need fluids and carbs as quickly as possible, Reck says. That’s why there’s usually somebody waiting to hand them a sports drink once they stop pedaling. Every hour for the first four hours after a ride, the competitors try to take in one gram of carbs per kilogram of bodyweight, Reck says. (That’s 77 grams for a 170-pound person.) Teams often stock their busses with soda and sweets to help them reach that threshold. Post-race protein is also important, though slightly less urgent. Competitors aim to eat 20 to 30 grams (roughly the amount in a can of tuna or four scrambled eggs) within the first hour after stepping off the bike and every three hours after that until they get in bed, he adds. Eating protein and carbs post-workout encourages muscle synthesis and keeps your body from using muscle tissue for fuel. “Cyclists are good at resting and even better at sleeping,” Lipski says. “You’ll rarely see them awake when traveling—as soon as they sit still for more than five minutes, they’re often asleep.” Coaches encourage shut-eye by keeping the bus as cool and comfortable as possible. It’s fully stocked with food and equipped with a shower, air-conditioning, and beds. Many of the teams work with companies that provide personalized pillows, says Reck. That way the riders have a sense of comfort as they move between hotels and busses. If you’re traveling for a road race or triathlon, consider bringing some familiar things from home, like your blanket, pillow, or eye mask to help you sleep better. “You always make sure to keep everything as easy and stress-free as possible,” Reck says. The calm continues back at the hotel, where a soigneur, a team caretaker, either performs a full-body massage or zeros on a specific sore spot. Most teams travel with three or four soigneurs, and the nightly sessions help to both prevent injury and create a sense of tranquility at the end of the day. “The mental effect is big,” says Reck. They rely on active recovery. 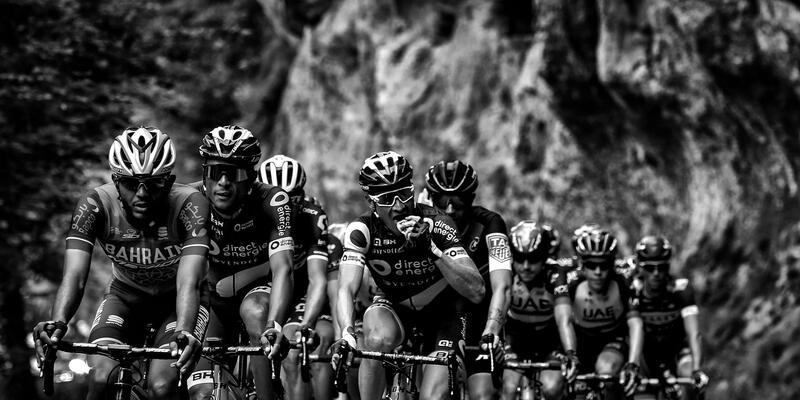 At this year’s Tour de France, the 23-day race includes two rest days. On their days off, many cyclists sleep in a little later than usual, then ride for about 90 minutes around 10:30 or 11 a.m. to increase blood flow and flush out lactic acid, which can cause soreness. Some go for longer or throw in sprints to avoid getting tired legs, Reck says. And if you’re competing in the Tour, that’s the last thing you want.